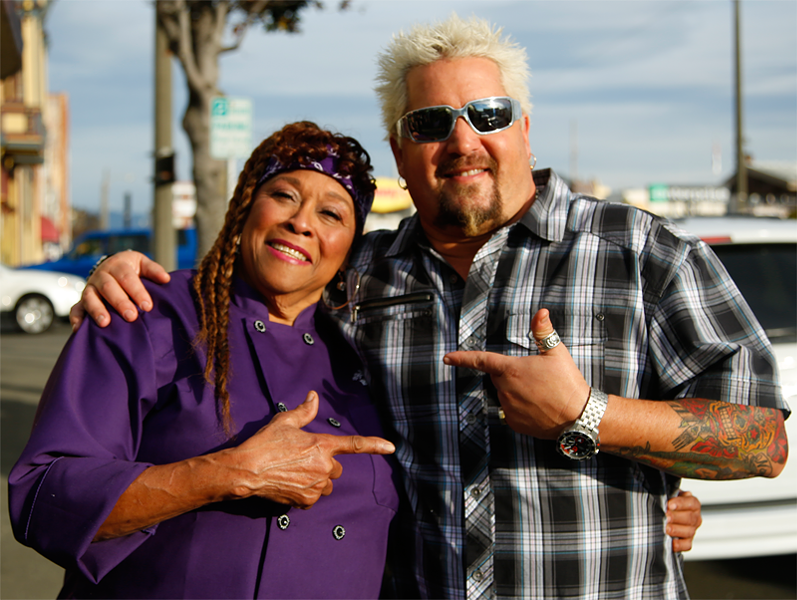 Sweet Mama Janisse and Guy Fiery filming Diners, Drive-ins and Dives. Sweet Mama Janisse of Bless My Soul is already kind of a big deal (have you had her Voodoo pudding? 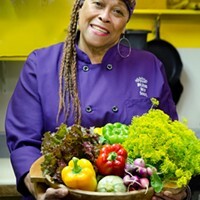 ), but tonight you can see her work some Creole kitchen magic on Guy Fieri's Diners, Drive-ins and Dives at 10 p.m. on the Food Network. The episode will feature shrimp and crawfish étouffée and jerk chicken leg quarters with caramelized bananas. "It was a blast," she says. "We were like two peas in a pod, man." 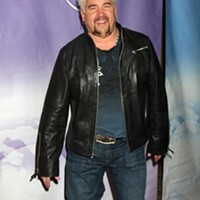 Tune in again on March 7 for Fieri's visit to Cafe Nooner featuring pulled pork po'boys with apple slaw and lamb kebabs.